Wound Care Course (WCC) – International ATMO, Inc. This 13-hour program is designed to help physicians, nurses, physical therapists and other health care professionals understand appropriate assessment and clinical management of all types of chronic wounds. The Wound Care Course is not a certification course and it is not a prerequisite to any certifications. 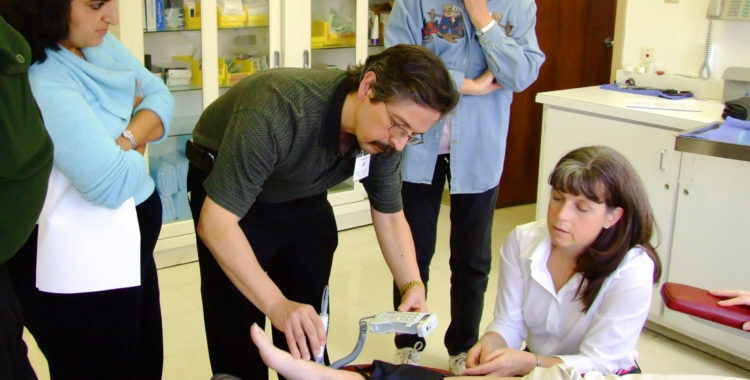 Participants will learn about wound assessment, appropriate wound dressings, and the application of advanced therapeutic modalities. Completion of this course does not constitute certification or credentialing. Physicians, nurses, physical therapists, and other health care professionals who provide wound care. Click here to learn more about the faculty members for each of our courses. This course is held at the Drury Plaza Hotel located in downtown San Antonio, Texas. 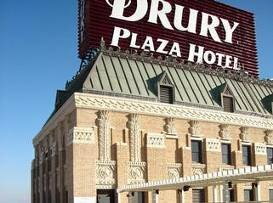 The Drury Plaza Hotel is located directly on the San Antonio Riverwalk and is in walking distance from many downtown restaurants and shops. *These are our regular rooms, but it is possible that they change. You will be informed via email if the course location changes. 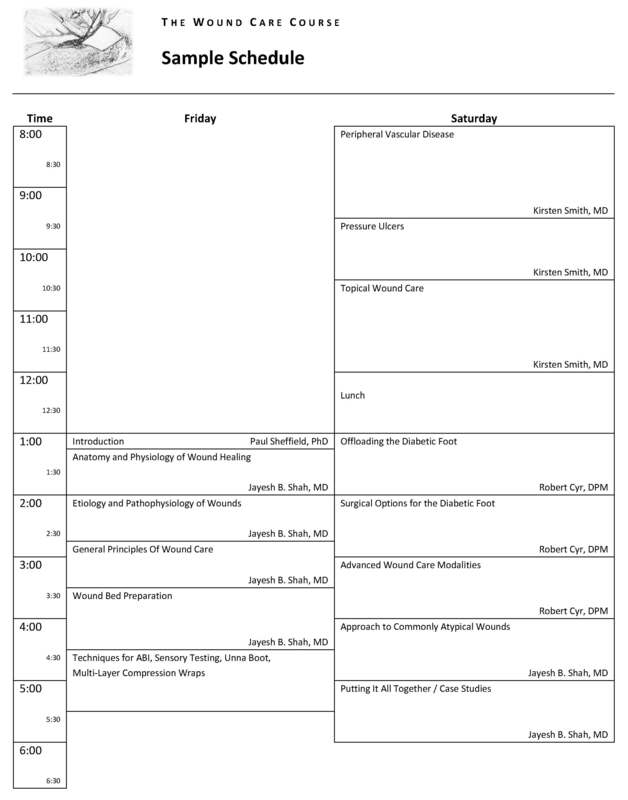 Lectures will begin on Friday at 1:00 p.m. you may check in starting at 12:30 p.m. The course ends at 6:00 p.m. on Saturday. If you plan to leave San Antonio on Saturday, you should select a flight that departs after 8:00 p.m. Upon completion of this activity, participants should gain knowledge of chronic wound care leading to an improvement in patient care. Accreditation Statement: This activity has been planned and implemented in accordance with the Essential Areas and policies of the Accreditation Council for Continuing Medical Education (ACCME) through the joint sponsorship of the Undersea & Hyperbaric Medical Society (UHMS) and International ATMO, Inc. The UHMS is accredited by the ACCME to provide continuing medical education for physicians. Designation Statement: The UHMS designates this live activity for a maximum of 13 AMA PRA Category 1 Credits™. Physicians should claim only credit commensurate with the extent of their participation in the activity. 13 Contact Hours. Provider approved by the California Board of Registered Nursing. Provider Number CEP17094. Disclosure: All faculty members and planners participating in continuing medical education activities sponsored by International ATMO are expected to disclose to the participants any financial relationships with commercial interests. Full disclosure of faculty and planner financial relationships will be made at the activity. Arrival – Lectures begin at 1:00 p.m. on Friday afternoon. Departure – The course ends at 6:00 p.m. on Saturday. If you plan to leave San Antonio on Saturday, you should select a flight that departs after 8:00 p.m. Comfortable clothes are appropriate. You will be spending many hours in the classroom each day. Classroom tends to be cold so bring a sweater or long sleeve shirt to class. Upon completion of the course participants will a letter of completion from International ATMO, Inc. The Undersea and Hyperbaric medical Society will provide CME certificates to physicians. Attendees who leave prior to the completion of the course are not eligible to receive a course completion certificate. Parking garages in the downtown area range in price from $10 and up per day. Hotel parking is sometimes more expensive. There is no self-parking at the Drury Plaza hotel. Valet parking rates are $15 per day (daytime only), and $23 per day for overnight parking. Parking fees are the responsibility of the student.